There’s nothing quite like great value head, and you get two of them for the price of one with the very well-designed Native Union Belt Cable. 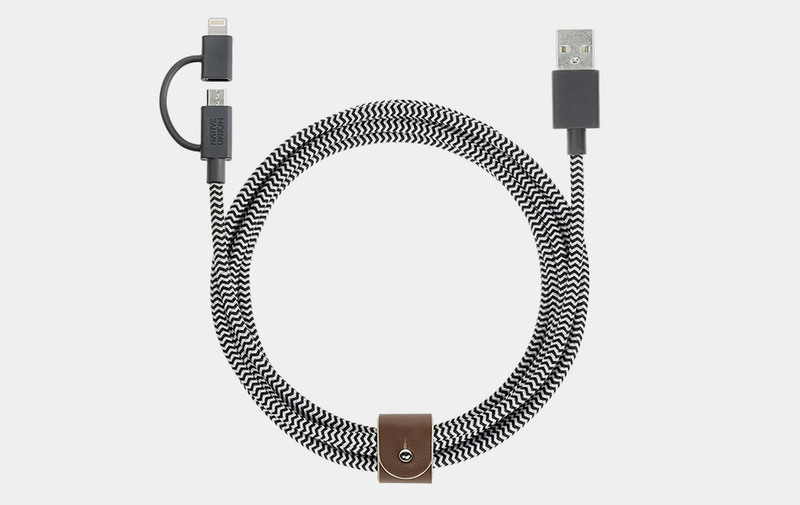 Charge any of your micro-USB or Apple Lightning devices with ease with the same cable–and one that you’d won’t have to worry about damaging thanks to its reinforced construction; or tangling thanks to the genuine leather strap. Six-point-five feet of awesome.